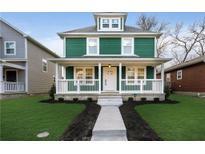 Below you can view all the homes for sale in the Boulevard Square subdivision located in Indianapolis Indiana. Listings in Boulevard Square are updated daily from data we receive from the Indianapolis multiple listing service. To learn more about any of these homes or to receive custom notifications when a new property is listed for sale in Boulevard Square, give us a call at 317-644-1844. This homes is currently ready for dry wall and finishes. 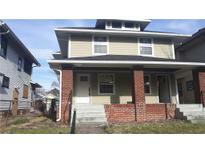 MLS#21633528. 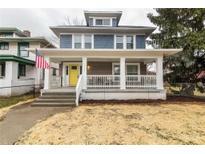 Mentor Listing Realty Inc.
A home this amazing won't last long in this market. MLS#21619556. F.C. Tucker Company. Backyard deck and covered front porch. 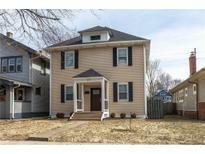 MLS#21627217. F.C. Tucker Company. Step inside your Brand new home!Total renovation inside & out.You will appreciate the STUNNING custom features which include extra wide rebuilt staircase,engineered hardwood flooring,detailed wood trim work,crown molding & B-I shelving.Main level Master bedroom w/En-Suite bathroom.Kitchen features granite counter tops,back splash,stainless steel appliances & plenty of cabinetry + formal dining room for entertaining.Main level laundry room + bonus room/Den.Upper level features 2nd master suite option w/California style W-I closet,double vanities & HUGE tiled walk in shower + 2 addtl spacious bedrooms & full bath with shower/tub combo.Floored attic can be easily finished for addtl living space & storage.Privacy fenced backyard with huge deck and private parking off-street. MLS#21623799. Realty World-Turtle Crk Realty. Don't Miss Your Chance to get into One Of The Fastest Growing Neighborhoods In Indianapolis at a great price! MLS#21608253. RE/MAX Advanced Realty.